Yes, we should definitely be grateful for good health. Knowing AC was ill makes it even more poignant. Now that is a poignant story. 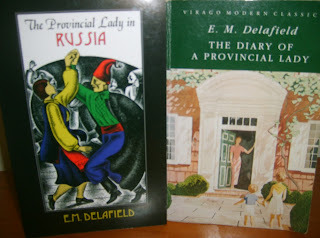 You inspired me to buy Diary of a Provincial Lady and then the very next day at our library book sale I bought The Provincial Lady in America. What bliss. PLIA was a lucky find. Hope you enjoy it.